Rugged themed wooden plank designed to resemble a rusty and weathered old look. Perfect to place above a door way or above your cabinets. 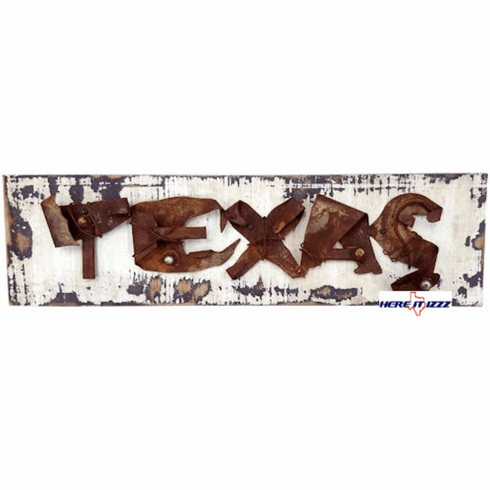 At nearly two feet wide and Texas Spelled out in Bold metal letters, it will look great anywhere.